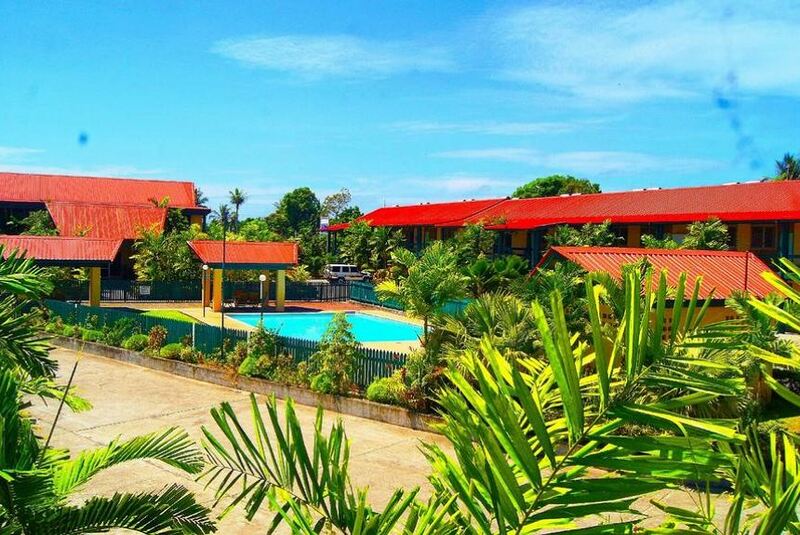 The Madang Star International Hotel is beautiful, Madang's newest international hotel and designed to provide our guests with the modern facilities expected whilst travelling. You will be welcomed in to our wonderful Atrium style Foyer before enjoying one of our spacious and well appointed rooms. Facilities within the hotel and our rooms include Air-Conditioning, Cable TV with 22 channels, Wifi, Pool, BBQ, Free Parking, Conference & Meetings Facilities, Retail Outlets and our tantalizing Star Bar and Grill which serves up modern dishes from around the world for Breakfast, Lunch and Dinner. We can take care of you whether you are here on business or pleasure. We provide Complimentary Airport Transfers from Madang Airport; our Reception Staff can book you on a Diving or sightseeing tour; or point out the landmarks around town worth visiting such as the Coastwatcher's Memorial.